So I’ve had a few lessons leading up to this point that I haven’t blogged about (actually I guess I haven’t blogged about lessons in a long time.. *shrug*), but there’s been enough major knowledge drops that I feel a post is warranted. We’re starting to turn up the volume a bit when it comes to the sandbox. A couple weeks ago it was moving the haunches in and out at the canter on a 20m circle. Last week we started playing with canter half pass, which damn-near melted my brain at times. Since his left lead is stronger, that exercise is significantly easier in that direction. To the right, I really need to make sure my left leg (from foot to hip) stays connected and down, keeping both sitz bones equally plugged into the saddle. This helps counteract my left hand creeping higher and higher. Just like on the 20m circle, I shouldn’t overdo this exercise- coming to not quite the quarterline is enough to school. We also talked about starting canter-halts, but I don’t presonally feel confident enough in myself to make that happen yet! Though simple enough in theory, we’ve also been continuing the work on our downward transitions- trot/walk and trot/halt- and back to trot. For Jack, he’s amazingly sensitive in that if I ask abruptly, he will land rather dramatically into the downward transition. Instead, for walk/trot/walk, I have to think about drawing out the transitions in order to keep the energy from crashing out from underneath us. For trot/halt/trot, it’s a much more precise half halt, but the only way I can refrain from having walk steps is if I thinking forward into the halt. Then the energy is there to land lightly into halt, and allow us (like a hovercraft in E’s words) to pick up again in the trot again. Straightness is the name of the game here, and the name of the game is straightness. In our last cross country school Thursday, I realized I hadn’t fully learned my lesson from our time at Bobby’s, as Jack tried a half-hearted version of his last-second-flail-right thing that got me off a month ago. Not cool Jack, not cool. He wants to lean through the right shoulder (which also makes sense as to why the right lead half pass is harder!) 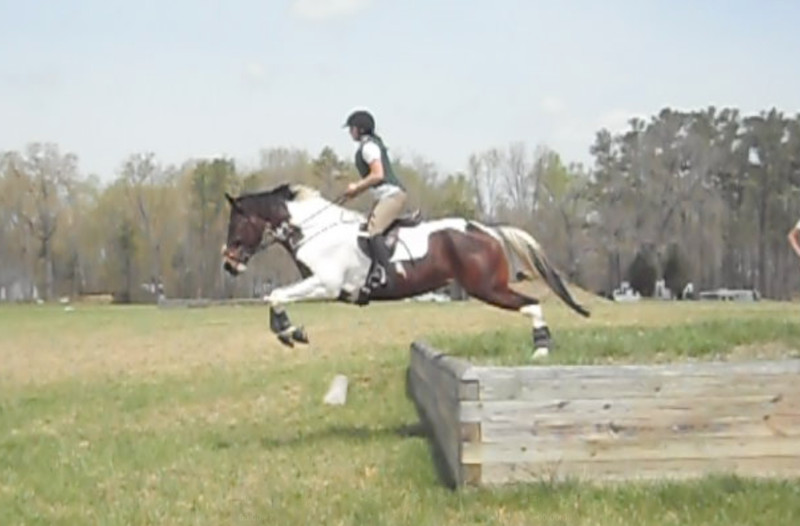 and it’s my job to get him straight as an arrow to the middle of the fence. No taking that last step for granted- no sir! 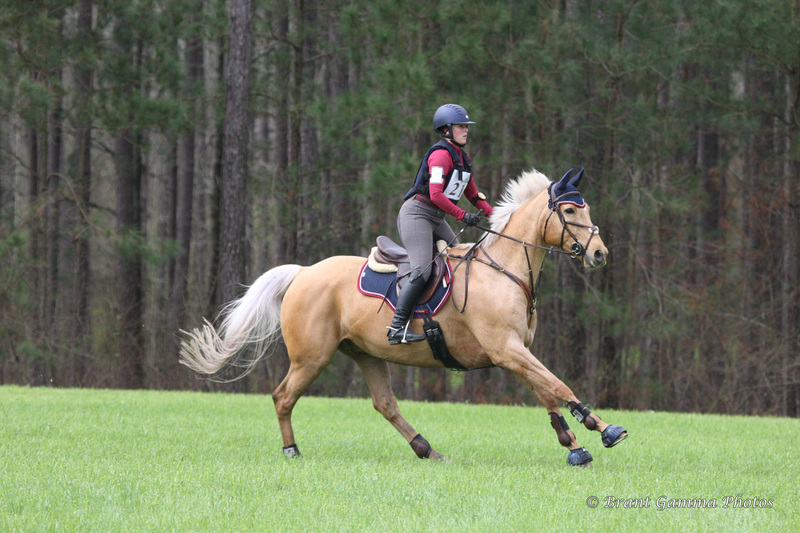 Add to this, that I make a habit of standing in my stirrups at the start of a ride to find my base of support- and if I feel my heels creep up I do it again – this tidbit from Mr. Boyd Martin. And then in general, I have to think about my weak lumber as the base of support for my upper body- so I constantly remind myself to rotate my hips under and think about having my hips in front of my shoulders (which is not the same as BC’s above advice- but NEVER shoulders in front of hips) as I stay out of the saddle. This engages my weak lower back and helps stabilize my whole upper body. 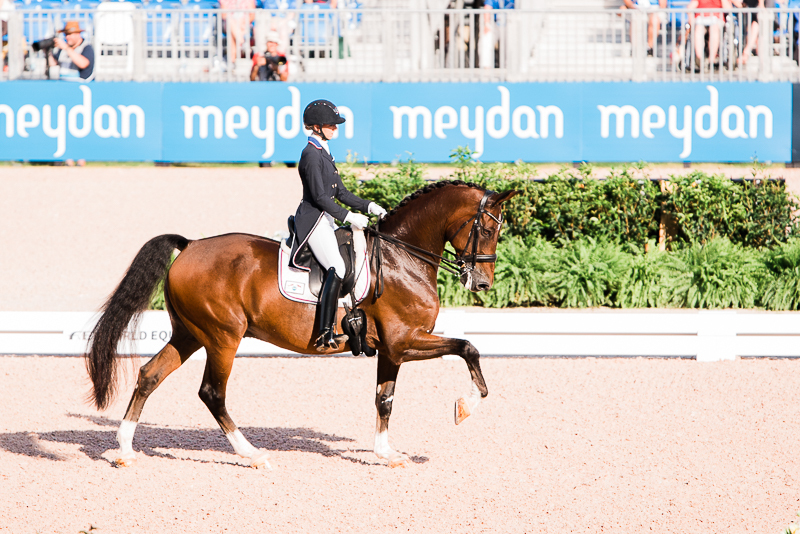 “Dressage [RIDING] is the art of putting one crooked body on top of another crooked body and making them both straight.” ~Richard Weis. 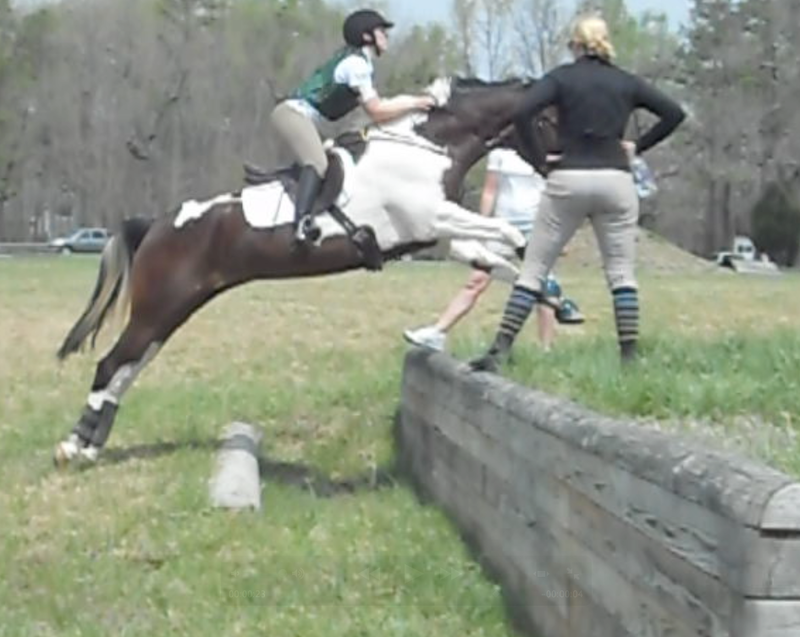 Somehow I survived my two lessons on Saturday, and both horses lived to tell the tale as well. And considering whatever the heat did to potentially addle my brain, in addition to my head already spinning with deadlines and the impending show this weekend, I find that I need to jot down the things I learned from those lessons while I still remember. I’m going to take the suspense out of the situation for you. You’re going to have some ugly jumps for a while. Between fences, we also chatted about goals. I would like to do a recognized show by the end of the year, and we decided to aim for Stable View at the end of September as a result. Even if showjumping looks a bit ugly, we should be able to get around a Beginner Novice course by then as long as I stick with the program. And with lots of schooling options between now and then, including a clinic in a few weeks, we should have a lot more experience under our belts as a pair before taking on Aiken! Prepping for Clinic # 2..
Or this post could be called, “Attack of the Wind puff”. 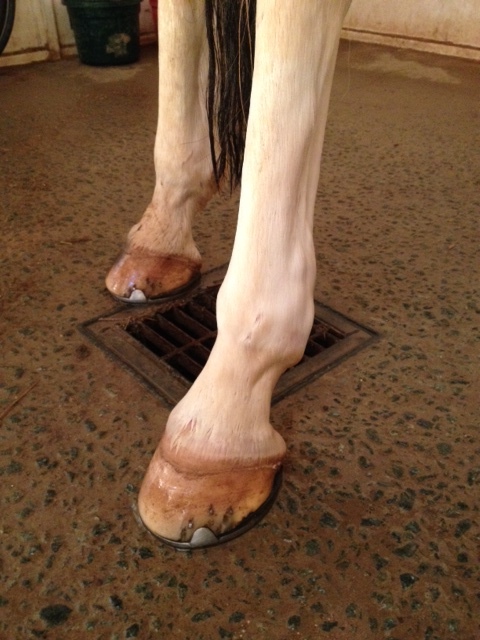 Foster developed some swelling in his back fetlock while I was in Savannah, and after having several people who are much smarter than me (i.e, the vet who did his shots, another vet looking at pics, and a former vet-tech) all diagnose it as a fresh wind puff, I haven’t been too concerned. It had a minimal amount of heat it in, which again I wasn’t terribly worried about since it is so fresh. 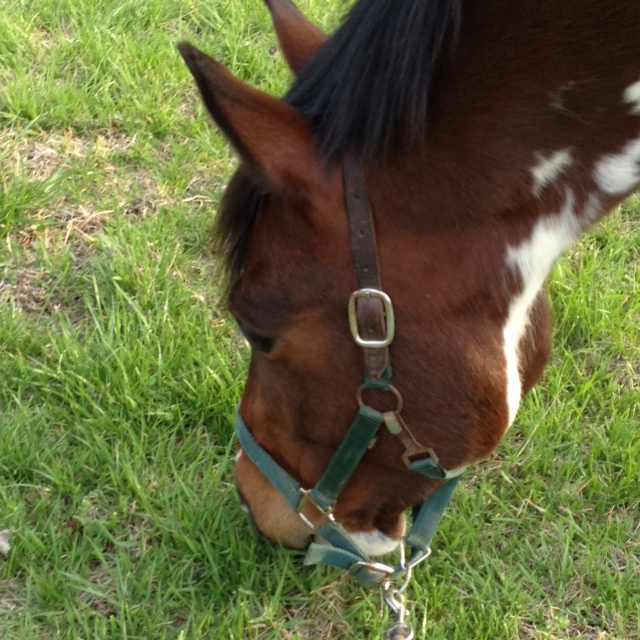 Of course Foster doesn’t care, all he wants is more grass.. yay spring! A few days ago though, this poofy blemish took on a little more heat than I was comfortable with. So I’ve been poulticing the crap out of it and hoping it goes down. I’ve worked Foster only a few times since the last clinic, and kept our rides pretty simple- lots of stretching, some basic transition stuff, and given him a gram of bute after each ride to reduce the swelling. After not seeing much change, I’ve gone the next step and started applying Surpass, a DMSO based cream, to it. Technically, Foster is sound and ready to go, but I’m being a total helicopter mom and watching his leg like a hawk. 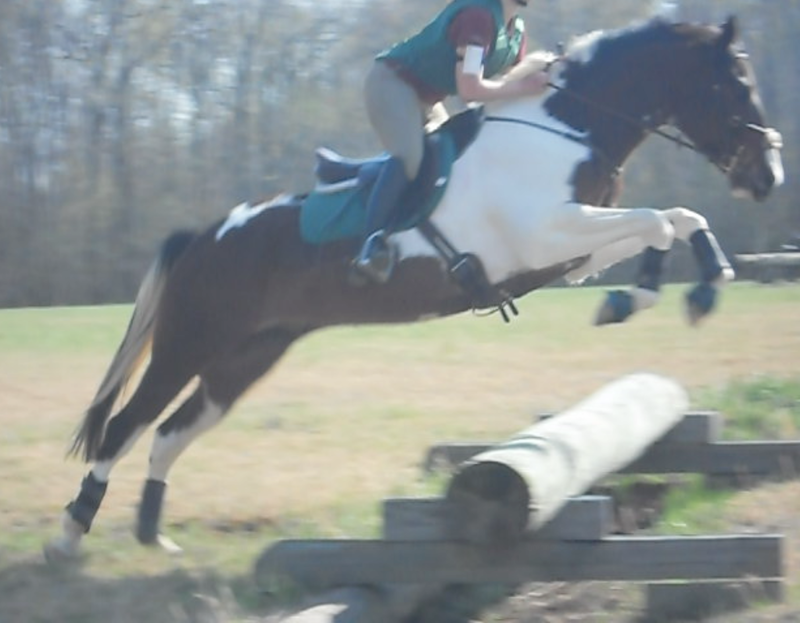 Nothing shows up lameness-wise when I ride him, and if anything he feels more forward than ever. There was a wee bit of tension in his back last night, but I put that down to us not working on transitions recently and insisting that he not use his neck to pull himself into the next gait. 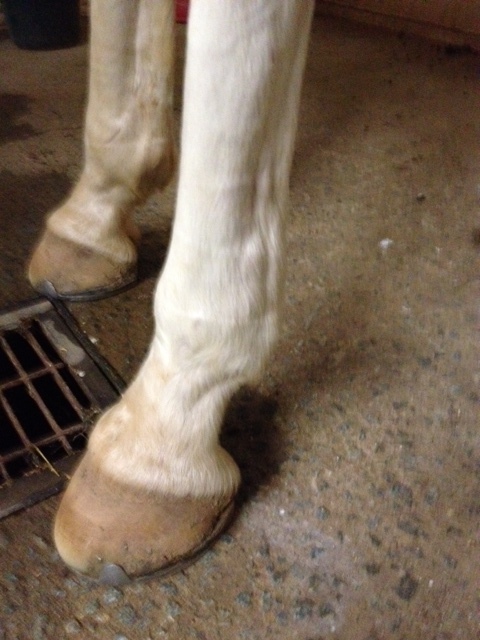 So, my hope is to ride him and apply more cream Wednesday, and check on him Thursday morning and see what it looks like. Rinse and repeat for Thursday night/Friday morning. If the heat really has not gone down at all, I’ll consider scratching. If you’re wondering what the clinic is about this weekend- it’s a dressage clinic just 15 minutes up the road, with Brendan Curtis. I’ve seen Brendan ride many a time beside Jim Koford when they both trained at a barn I used to board at. 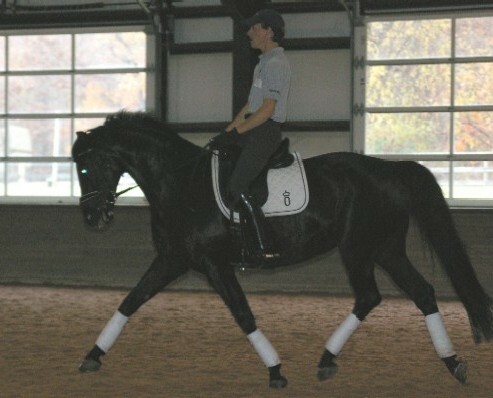 I never got to take a lesson from him, but I have a friend who has become a beautiful dressage rider who highly recommends him, and I’m very curious to see what he would do with us! So, our preparations this week are mostly focused on easing my mind about Foster’s leg, and if it gets better we will just have to see what happens at the clinic. He should at least be able to rock a stretchy trot and some lateral work! I’d love to have the opportunity to ride, but Foster comes first. We’ll see what happens. Day 2 was our second cross country lesson, and I felt really confident after the prior day’s success. Unsurprisingly, when I got Foster out on the field, he felt sluggish- the poor thing was tired! But he put his game face on and rallied (for a while). Since he felt so relaxed, I allowed myself to finally relax too, and felt a big difference in the ride. I could follow with my elbows more, and pay a bit more attention to the task at hand. Because I was feeling more confident, I asked Holly if we could push the envelope a bit, and boy did she deliver! We hopped over this rather large training oxer (right after the rollback in the video), and did a super fun bank combination. Foster particularly loved this, and launched himself off the bank with all the boldness I could ever want in an event horse! Off the bank we go! When that went well, Holly asked if I’d like to try the ditch/up bank combo. It’s a bit hard to see in the pic, but there is a shallow ditch behind the ground line- and I was super stoked to try it! Foster flew up it without hesitation- it was very exciting! The themes of the day were continuing to allow him to come forward, and keep my elbows soft (though this was improved over the day before). 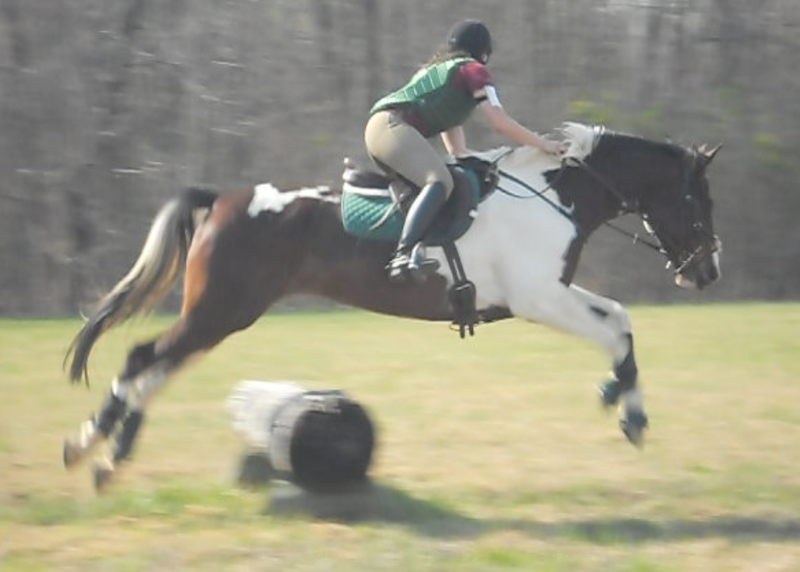 I definitely need to add more pace to bigger fences (such as the bank above, and the training oxer in the video), and keep him straight/allow for a straighter approach to the jump. Also might try lowering my hands, as with show jumping. Unfortunately towards the end of the session, Foster had decided he had had enough, and put in a couple of naughty run outs. These were all to the left, and it’s my job to pull him right if this happens. No matter what! Things were going so well, I definitely let my guard down and he slipped out on me a couple times. I honestly think these were due to him being fully exhausted, and while that’s no excuse, I’m still proud of him for all the good work he did over the weekend. 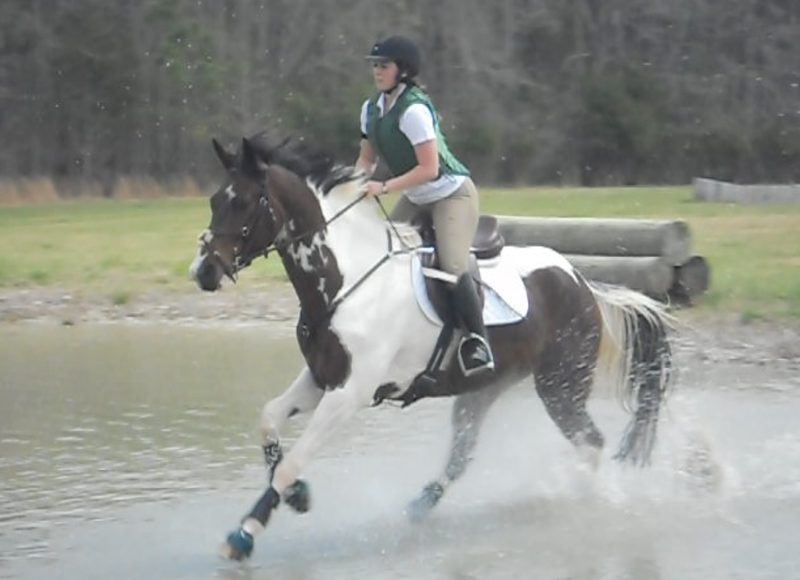 We ended on a good note, jumping over a small vertical into the water, and called it a day! All in all, this clinic was hugely helpful in re-establishing the basics and getting us back to where we need to be with our confidence. It was a nice, laid back atmosphere with fun people, and left us with a manageable amount of homework. I’m excited to hear that Holly will be hosting multiple clinics this year, and I am already looking forward to the next one! Whoo! What a weekend. The clinic was a great success, and Foster and I came away tired, but with some definite goals and advice to keep with us as we practice on our own. The clinic included 3 lessons of any combination, and knowing my weakest areas (jumping), I opted to do 1 showjumping lesson and 2 cross country lessons. Day 1 was our showjumping and first cross country lesson. And boy, did we struggle at first. heads up like a turtle! One of the first things Holly pointed out is that I was riding with a dressage seat, and I needed to lighten my fanny for jumping. Needless to say, after about 3 months of doing almost nothing but dressage, that fanny felt heavy, and I struggled to find my balance after being out of practice for so long. She also had me lengthen my rein and lower my hands, to encourage Foster to have a slightly rounder shape and therefore jump with better bascule. The course included a few single fences, a 3 stride line, a 1 stride, and the biggest grid I’ve seen (in life). Foster has never jumped a grid like that, and normally when we do grids we build them up bit by bit. Not to mention, when’s the last time he did a 1 stride? (I’m sure I don’t remember!) Thankfully he was game, and we struggled through. This exercise showed us that we could benefit from more gymnastic practice, to get him sitting, me waiting (and steering), and improve balance issues. Overall themes included getting a more active canter (no surprise there), looking without leaning, and getting him straight to the fences. The latter is one of my biggest issues right now, as I don’t tend to take the time to get his shoulders straight at the approach to the fence, and then we jump crooked, or if it’s a line, drift through it. I will be working on this for sure! Luckily we did end on a good note where I actually started to ride, but the video is sadly a bit blurry. Just a few jumps together, but beginning to see improvement. I do notice in these videos that my form over fences has suffered some from lack of practice (belly button to pommel! 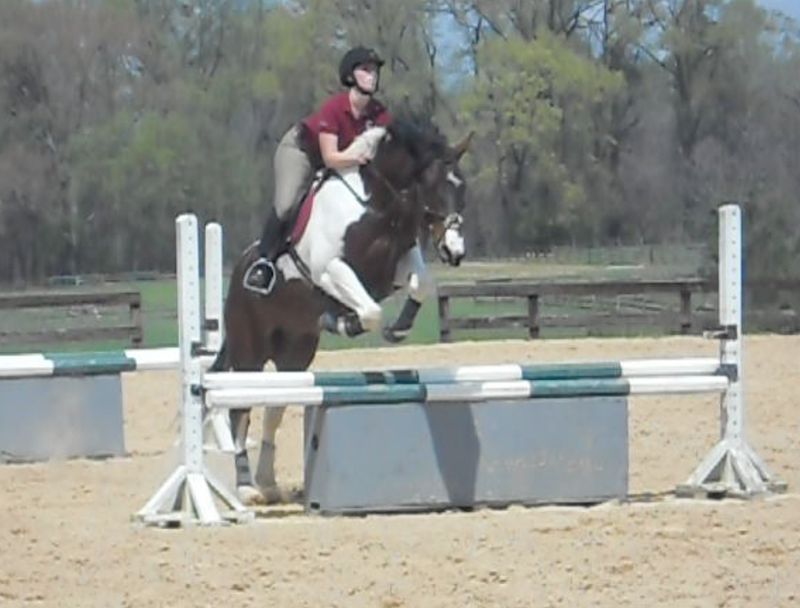 ), but hopefully we will be able to get more jump schooling in soon! After Foster had a quick rest, we headed out to the cross country course. I was pretty excited to see what he felt like, but that didn’t keep me from being tense. I had mixed success with getting the tension out of my elbows, but Foster was an honest, solid citizen the whole time, which helped me relax more and more. Everything stayed pretty small as we revisited the basics… No, we didn’t always get our distance, and tempo was occasionally a mixed bag (though admittedly, mostly on the slow side), but I was very happy and got the confidence boost I needed! Again themes of more canter and allowing him to come to the fence (this is a trust issue with me, left over from his rushing days), and relaxing my elbows. Watching the video I can see exactly when I lock up and when I start to relax my arms, and generally speaking, he looks relaxed when I look relaxed. Definitely something I’ve been working on for some time, and finally started seeing better results towards the end of the lesson. 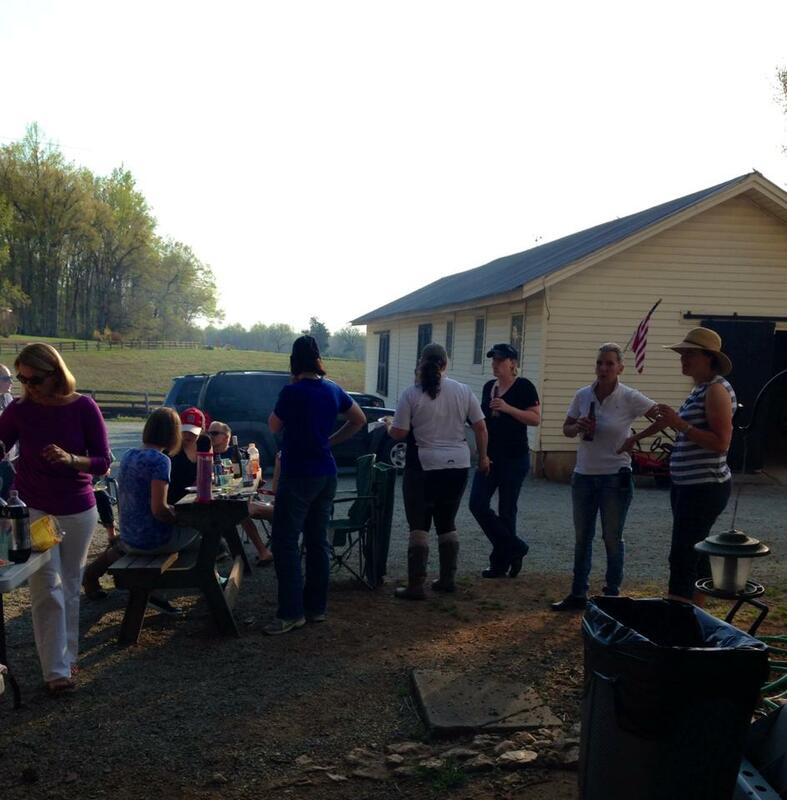 Following cross country, we headed back to the barn and Foster got a much deserved dinner and I got to hang out with my fellow participants, some of whom are friends from our old barn! It was so nice to catch up with everyone, and hear how they are progressing with their rides! Drinking beer after riding all day? Yes, please!